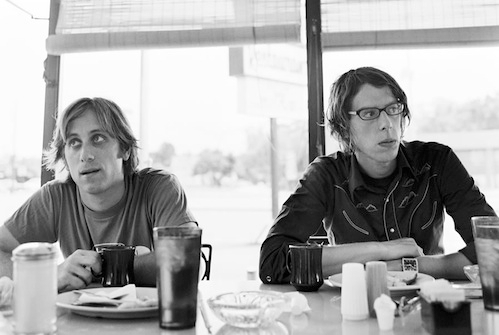 Rock duo The Black Keys recently released their eighth studio album, and arguably best album to date, El Camino, via Nonesuch Records. Helmed by guitarist Dan Auerbach and drummer Patrick Carney, The Black Keys find inspiration in Mississippi blues classics and mid-1960s psychedelic rock. Recorded in Nashville, El Camino was co-produced and co-written by Danger Mouse, who also collaborated with the band on previous album Brothers. This album is more straightforward and uptempo than its predecessor, packing powerful riffs and nice grooves in its 11 tracks. No slow jams or power ballads here, just 38 minutes of unadulterated rock energy! El Camino makes for a great listen in the comfort of your home but it will make for an even better live show. Propelled by pouding drums and bouncy riffs, every track is its own little energy ball and will no doubt incite frenetic dancing.